Lists like this are usually so much clickbait, I know, but I thought it was nevertheless worthwhile to compile a list of most of the reasons why I became and/or remain an Orthodox Christian. Some of these things were not really on my radar when I became Orthodox in 1998, but they are part of the reason why I genuinely do love belonging to the Orthodox Church (which is why “and/or Remain” is in the title). The nature of lists like this is such that they can’t constitute apologetics, really, nor is this one (at least) intended to be universally applicable — these are my reasons. They may not be someone else’s. It will also become apparent that my background as an Evangelical prior to becoming Orthodox is a major factor here. So, all that said, here’s the list. 1. I believe the Orthodox Church really is the one, true Church of Christ. There’s a lot that could be said here, but the reason why I believe this is that I examined both the Scriptures and the early history of Christianity, and I became convinced that the only church that matches them both is Orthodoxy. Particularly formative for me were the writings of St. Ignatius of Antioch, a disciple of the Apostle John. The church life he described was definitely not what I saw in Evangelicalism. Since he was someone who learned how to be a Christian from the Apostles themselves, I wanted to be in his church. Orthodoxy takes history seriously and doesn’t gloss over the hard stuff. It also doesn’t pick and choose from early Christian witness to develop a streamlined “system” of theology that is easy to swallow. 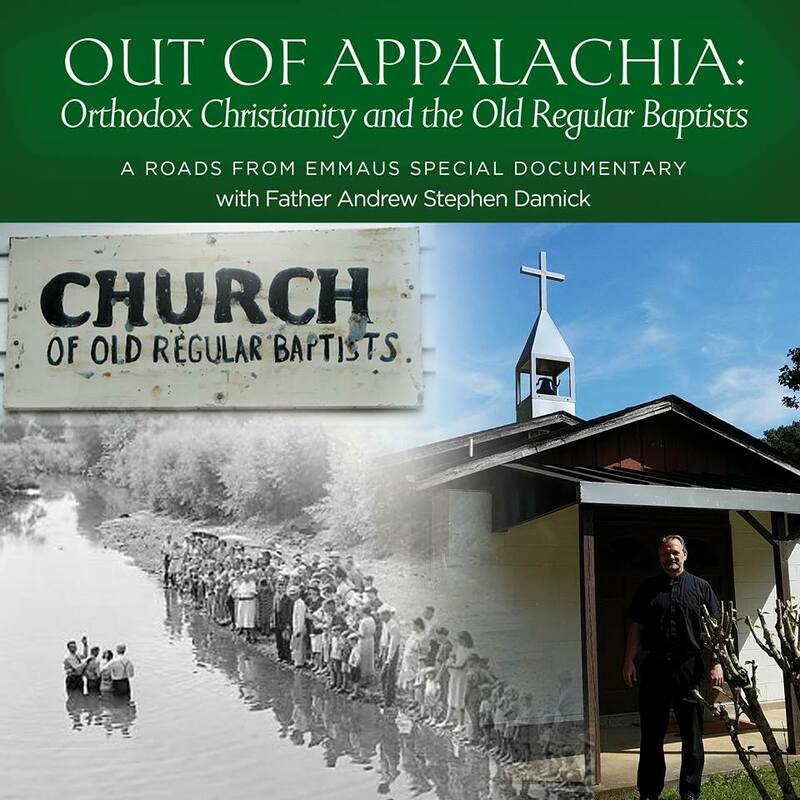 Rather, because Orthodoxy is truly the community descended from the Apostles, within its theological memory are centuries of dogma, doctrine and theological reflection. Not all of it is totally consistent or easy to sort out, but it is nevertheless one great river of truth with an overall unified direction. One doesn’t see that in the same way in Roman Catholicism (there are several major turns in history), and it is impossible to find that in Protestantism. Most Protestants aren’t even concerned with it. None of that means I regard non-Orthodox Christians as damned, nor do I even regard all Orthodox Christians as definitely destined for eternal bliss. And Orthodoxy’s truth is no testament to me. Orthodoxy is true, but not because of me. 2. Orthodoxy gives me something to do. I don’t mean that I was bored and needed something to entertain me. I mean that the Christian life as I had been taught it prior to becoming Orthodox was essentially non-critical. I had been “saved,” and there was really nothing critical to do after that. I should try to be moral, of course, and get other people to get saved, too, but those things weren’t really necessary to the big question, which was: “Do you know what would happen to you if you died tonight?” Well, I knew. I was “saved.” I was going to Heaven. But what if spiritual life is actually all critical? What if you need to endure to the end to be saved? What if being a Christian means working out your salvation with fear and trembling? Orthodoxy provides a full-bodied, full-souled spiritual life that assumes that everything you do as a Christian makes you either more like God or less like Him, and because becoming like God is what salvation consists of, that means that everything you do is critical. You haven’t “arrived” in this life. You should be moral and you should be evangelistic not because they get you bigger rewards in Heaven but because those things are part of what it means to cooperate with God so that you can be saved. 3. Orthodoxy gives me a way to see and touch God physically. The Son of God became the Son of Mary, and that means that He became visible and touchable. In Orthodoxy, the implications of the doctrine of the Incarnation are that the divine presence — holiness — actually becomes present in the material world. Now, one can argue that that presence is uniquely present only in one physical place — the human body of Jesus — or one can be consistent and see how holiness shows forth in lots of other physical places both in the Bible and in subsequent Christian history. Saints’ bones, apostles’ shadows and even handkerchiefs touched by apostles have all showed forth the power of God. Within that context, when Jesus said “This is My Body” and “This is My Blood,” it makes more sense to take Him seriously and not just metaphorically. That’s why St. Paul warned that people who received Holy Communion unworthily could get sick or even die. If it’s “just” a symbol, why would it do that? The physicality of Orthodoxy — sacraments, incense, vestments, church architecture, icons, etc. — don’t get between me and God. They put me in touch with God. A bridge between two cliffs does not get between the cliffs but rather connects them. Orthodoxy’s many physical elements not manmade magic, but the working out of God’s gift of the Incarnation, the reconnecting of God and man. 4. Change is really hard. People sometimes joke that Orthodoxy is not really an “organized religion,” with emphasis on “organized.” There is no pope handing down uniform instructions to the whole Church; our chiefest prelates often can’t seem to get along; and it seems like we’re never going to get around to holding that Great and Holy Council we’ve been talking about for nearly a century. But all those things don’t bother me. For one thing, it means that sheer logistics make it nearly impossible for us to alter what we do. And if all that Eternity and Truth stuff is really true, why should we even think about altering it? It can’t get voted on democratically, and it can’t get imposed monarchically. So change doesn’t much happen. That’s not a bug. It’s a feature. Orthodoxy is not going to change out from under you. 5. Orthodoxy really is one Church. Unlike the denominationalism of the Protestant world, the various churches of Orthodoxy really do have to talk to each other and work things out. A Presbyterian and a Lutheran may each recognize each other as Christian, but they have almost no stake in each other’s internal church life. The same even holds true of someone belonging to the PCA and someone belonging to the PCUSA (both Presbyterian denominations). They don’t have to work anything out between them. A PCA church plant does not in any way infringe on the territory of the PCUSA, because they’re not the same church. Orthodoxy may often bicker and fight (though most parishioners never see this unless they happen to be in a dysfunctional parish), but the fact that we have such bickering and fighting with each other means that we recognize in each other that we are one Church, that we have a problem and that we need to fix it. Protestants always have the option of just splitting (and once splits occur, they don’t have to bother with each other), while Roman Catholics can ultimately appeal to the Vatican, who can impose solutions that work for the Vatican but might not work for everyone else involved. 6. Orthodoxy is a faith for the whole life. 7. Orthodoxy is a faith for the whole world. Yes, Orthodoxy is sometimes plagued with ethnocentrism. But that’s a distortion of Orthodoxy, not faithfulness to it. And it’s not everywhere. I’ve belonged to both more ethnically focused and less ethnically focused, as well as ethnically non-focused Orthodox parishes, and none of them had an ethnic membership card check at the door. Orthodoxy is really a universal faith that has shaped numerous cultures and languages over many centuries. 8. Orthodoxy is a faith for the whole person. Mankind is not just emotionally moved by beauty, but he aches to be near it, to create it as much as that is possible. More than any other iteration of Christian faith, the Orthodox Church knows how to envelop the worshiper with beauty in all five (or more!) senses, both otherworldly beauty that transports the worshiper and otherworldly beauty that transforms the earthly. The beauty of Orthodoxy addresses the whole human person in multiple ways. It is not a faith just for the “soul” or the “heart,” but for the body, as well, including our ability to apprehend beauty. 9. God really does love you the way you are, and He loves you so much, He won’t leave you that way. 10. Orthodoxy is both mystical and rational. Some Orthodox will oppose the mystical to the rational, but that’s a mistake, I believe. For all the apophatic theology (theology which emphasizes our inability to know God with our minds), there is also a lot of cataphatic theology (theology that makes clear, positive truth claims) in the tradition of the Church. We don’t have to choose one or the other, nor are the two really alternatives to each other. Apophatic theology is also not merely a “corrective” to cataphatic theology. Rather, both are simply ways of talking about theological emphases within Orthodoxy. It is not as though, when I am serving the Divine Liturgy, I switch on the “rational” part when preaching the Gospel and then toggle the switch to “mystical” when I drink from the Chalice. All these things are in play simultaneously. I love that, and I haven’t really encountered that anywhere but in the Orthodox Church. No Christian body takes asceticism as seriously as Orthodoxy does. Roman Catholicism has it in its tradition, but it is mostly ignored. Yet Orthodoxy expects all Christians to fast, to stand vigil, to be as non-possessive as possible, etc., and it provides a programme for how to do that. You don’t have to make it up for yourself, because the tradition is already established. And it’s also customizable according to the pastoral discernment of your father-confessor. Asceticism is a way to do real battle with the broken modes that the human will functions in. It allows a man to take control of himself in a powerful way so that he can redirect his God-given powers and energies back toward God and away from his base appetites. Asceticism doesn’t save anyone, but it certainly does help. Why? Because we are only saved to the degree that we want it. Asceticism helps us to want it. And as anyone who has really fasted for all of Lent and then tasted that first taste of roast lamb at Pascha can tell you, asceticism actually makes the good things of this earth taste better. Far from being a denigration of God’s good creation, asceticism returns the creation to us and opens up its beauty in ways that consuming it without restraint cannot ever do. 12. Orthodoxy aims higher than any other Christian faith. While theosis (deification/divinization) is not the only model of salvation in Orthodox Christian theology, it certainly makes some of the strongest claims. There are hints at doctrines of theosis in Roman Catholicism. (I am not aware of any Protestant groups that teach it.) Yet it is only in Orthodoxy that one is taught that salvation means to become by grace what Christ is by nature, that “God became man so that man might become divine” (Athanasius, On the Incarnation) that becoming “partakers of the divine nature” (2 Pet. 1:4) is actually expounded upon. “I have said, ‘ye are gods, and all of you are sons of the Most High'” (Ps. 82:6) is taken very seriously. You won’t find that anywhere else. Even Pentecostals who teach that you can be chosen by God, spoken through by God, etc., aren’t really teaching that you can enter into such union with God that you begin to take on the divine attributes. But that is exactly what Orthodoxy teaches, that the transfiguration, death, resurrection and ascension of Christ are all what it truly means to be a Christian, that mankind is now seated on the very Throne of God Himself, and being in Christ means being seated there, too. Pretty daring. But why settle for less? So those are some of my reasons. What are yours? Ditto x twelve! My own list would also include the fact that Orthodoxy brings you to the Trinity. Evangelicals focus on the Son, Charismatics focus on the Holy Spirit, and Fundamentalists focus on the Judge (as their portrayal of the Father) – but in Orthodoxy the Trinity is revealed. This has such far-reaching doctrinal and relational effects for the Church and for each of us personally. Gorgeously said. I am an Orthodox convert and a former Protestant. I totally agree. My reasons were similar to yours, but especially point #5. I came from Anglicanism which is forever splitting and subjecting things to discussion and vote that should not even be considered in the first place. For example, the current debate over women’s ordination in the Anglican Church in North America may result in another split along these lines. Good list! But for me, the hymn “Christ is risen from the dead, trampling down Death by death” says it all. It says what and who the real problem is, it forms our goal and endgame, and it guides our actions (both individually and corporately). Forgiveness is meaningless if we are dead and life in this world makes no sense if we — those in the tombs — have not been bestowed Life. That He is risen and we are given Life is the precious jewel that we must all meditate on continuously. Only Orthodoxy drives home that message. Although this self-concept will undoubtedly sound very grim to many, if not most people, what I have come to know is a much friendlier, much more loving and merciful God than I ever “got” before becoming Orthodox. Now, my sense of existential security, if you will, does not depend at all on my ability to justify myself. While I will ever strive for moral rectitude, compassion, emotional sobriety, etc., I will rely not upon my own strength, but on the grace of God, so that where I succeed, I know to give thanks for that work done in me, and where I fail, I know that it is because I, once again, stupidly tried to live as though I didn’t need grace working inside every breath I take. Pertaining somewhat to what you wrote in #6 above, I could never, at the outset of this journey, have imagined what a relief it is to confess, in the face of the Holy Mysteries, that I am the chief sinner. Somehow, I can grasp at this point that this life of repentance we pray for will always turn out to have “something more” no matter how long nor how well I have persevered in it. Of course, at this point, I think that I can be, at best, faithful to repenting as soon as I become aware that my perseverance has collapsed; after all, I have to drive a car almost every day, while other people are doing the same thing. The healing and restoration of the soul that take place in the Orthodox Church I have not seen anywhere else. All sacraments of the Church and the entirety of the day to day church life come together to put back the pieces where they belong and make me capable of true communion with the divine. Protestants are very knowledgeabpe in scripture and apologetics but their general expression of compassion is “get over it”. I can not describe the power of the realization how much I am being loved despite my ignorance, cruelty, and ungratefulness. Thanks, Susan. For whatever it may be worth, as I said, these are twelve of my own reasons. I wouldn’t be being honest if I left off #1 and #12 (especially #1), because they were and are major reasons that I am an Orthodox Christian. That said, is it really elitist or sweeping to believe those things? #1 really is part and parcel of the Orthodox faith—we only believe in one Church, and Orthodoxy is it. Indeed, if someone doesn’t believe #1 in particular, I don’t think it would be a good idea for him to become Orthodox. It’s also not elitist to believe that, because Orthodoxy’s truth is not because I’m a better Christian. (I’m not.) Like I said, Orthodoxy is true, but not because of me. I agree with Father. I do not see how # 1 and #12 are to be left off. That is too radical for me. We, Orthodox, are to speak Truth in love. How can one speak to the world to repent, if one is obssessed on not judging? Also, we do not have more credit by number of years we spent as Orthodox. Please forgive and pray for me, a sinner. Posting this in a mindset of peacefulness. I think it irrelevant that I converted to Orthodoxy in 1976. Points #1 and #12 happen to be true. That is no more “elitist” than is Christ’s direct speech in John 14:6. I still do not understand praying to these icons. Why would you pray to anyone but God. Jesus is the only one who was raised from the dead… Mary is dead. The “saints” are dead. There is nowhere in my Bible that says you should pray to anyone/anything except our Lord. So I can understand the veneration of the icon representing Christ Jesus…anyone else…no. In response, first you should know that we do not pray “to” icons. One might say we pray “through” them or “with” them, but icons themselves are not the object of prayer. In any event, regarding the saints — they are not dead! Indeed, we are “surrounded by so great a cloud of witnesses” (Heb. 12:1), who are very much alive and aware of us. They experience a foretaste of the Resurrection even though they are not yet raised from the dead. But they are alive in Christ — indeed, in a sense, they are more alive than we are. We see them, for instance, offering up the prayers of those on earth at the throne of God (Rev. 5:8). As to whom we should pray to, there is of course one kind of prayer that is to God alone, but there is another sort we offer to fellow Christians. The reason we ask the saints in Heaven to pray for us is the exact same reason we ask each other to pray for us. And pray really just means “ask.” It does not mean “worship,” which is due to God alone. So we are asking for the saints to do for us what we ask those in this life to do for us — though I would submit that they are better at it, since they are unencumbered by sin and are close to the throne of God. I don’t know, of course; however, I wonder if Ms. Davison believes in what is called “soul sleep”, an error which leads Protestants to consider it impossible for the saints to hear our prayers, as well as impossible for them to pray to God on our behalf. Hebrews 12:1 says “since we are surrounded by so great a cloud of witnesses,” and that “since” refers to everything that came before, which in Hebrews 11 is a description of many Old Testament saints (the only departed “saints” at the time of most of the New Testament). Also, at the Transfiguration on Mount Tabor, the Lord appears with both Moses and Elias, who are certainly quite alert and not dead as they speak with Him in the sight of Peter, James and John. I am very much interested in this. I will see if I can get the book you recommend. I do believe that your services are much more in line with the way the original Christians worshipped, but I don’t think they stood up all the time as I think the Orthodox Church does? No ancient church has pews or seats, which pretty much indicates that they stood. It’s also apparent in literature from the period, too, as well as being the cultural norm even outside the Church — students stood while the teacher sat, for instance. Ah. I knew they met in houses to begin with. I assumed they sat on the floor. Thank you. Most traditional Orthodox churches have some kind of seats, either benches against the wall or wooden chairs with armrests installed in the wall, with the seat part on hinges so it can be lowered or raised to allow the person to sit or stand while leaning on the armrests. Also, some churches bring chairs in during the services to allow people to sit if they need to. Still astonishing to this day, and I am always struck by it. I never thought we prayed to the ICONs rather they are stories, symbols, guide us to memory of past just as the word does- praying the scriptures is not praying to the scriptures rather uniting with them- why make up own words if there is nothing like reiterating the Word , I am new convert tho so that’s just my opinion. None of these is among the reasons I *became* Orthodox. But all of them are the reasons I remain Orthodox, a Faith for which I thank God every day. I love these 12 reasons, and there are many more besides! I left the Lutheran Church Missouri Synod 4 years ago and became Orthodox and have never regretted a minute. I thank and praise God that He led me to His Church. I am finally in a safe place to work out my salvation with people who love me and don’t judge me. May God continue to bless His Church! Thank you for sharing. I am a follower of Jesus Christ and I enjoyed reading all of your reasons for Orthodoxy. My walk with God has brought me many wonderful, peaceful, kind, and loving Orthodox Christians who were critical to my spiritual walk. I am exploring an Orthodox gathering in my area and school for my children. It is by a miracle that I have been an Orthodox Christian for 28 years. I came in skeptical at first, and found a beauty of worship and people that are constantly changing me for the better. It isn’t a faith for the casual or squeamish. The Christian life is a struggle as we fight against our own passions and sinful nature. Orthodoxy gives you the tools to climb the ladder of “Theosis”(God likeness). After all these years, I am finally beginning to understand this. Born and raised Jewish and first saved in an all Black Baptist Church, I thank God every minute of every day for showing me HIs Holy, Catholic and Apostolic Church. One reason: the overwhelming constant and continuing presence of Jesus Christ. Not my emotion or feeling but the unmistakeable reality of Him despite silly, corrupt abusive people and my own unworthiness. He called me, welcomed me through an icon of His Mother, blessed me to be received by the hands of an unfortunately unstable priest and to stay despite my pride anger and sloth and the ethnocentric hatred of some in my first parish. In the process He has blessed me beyond anything I imagined including being the least in an outstanding parish. In regards to reason 12 you have been miss informed about Catholicism. Just like many Orthodox there are a great deal not aware of their own teachings. Just read this from the Catechism of the Catholic Church: “#460 The Word became flesh to make us “partakers of the divine nature”:”For this is why the Word became man, and the Son of God became the Son of man: so that man, by entering into communion with the Word and thus receiving divine sonship, might become a son of God.” “For the Son of God became man so that we might become God.” “The only-begotten Son of God, wanting to make us sharers in his divinity, assumed our nature, so that he, made man, might make men gods.”. ………As you can read this is a central teaching of Catholicism so it might be a good idea to retract your statement in order to maintain intellectual integrity. I see from your website that you’re probably Eastern Catholic, which definitely is a different perspective from the other 98+% of Catholicism. But I think a thorough look at the teachings of the CCC will show that theosis is not the primary Catholic understanding of salvation. “Merit,” for instance, is mentioned 17 times in nine different paragraphs the CCC, but deification/divinization is mentioned only once in one paragraph. So, forgive me, but I won’t be making any retractions. As a former Catholic and current (grateful!) Orthodox, I can state without reservation that the first time in my life that I ever heard of theosis was after becoming Orthodox. It is not any part of Catholic teaching. And I attended Catholic schools for thirteen years of my life. I converted from Orthodoxy to Catholicism a year ago, primarily for practical reasons and a relocation. However, theosis and hesychasm were two major draws for me initially, and I have found that the Catholic Church by and large is more concerned with social issues than theosis. If I am able, I plan to humbly return to Orthodoxy as soon as I am able. Not to deny that in catholicism there is a strong focus on social work, but I would like to share my little experience as a dominican student friar (thus catholic), ie that God made himself man to make us God is the first thing which has been thought to us in the theology classes. As Catholic we consider Athanasius a Father of the Church and we celebrate and revere him as such. Right, and I mentioned that this is not absent in Catholicism. But for most Catholics, it’s unknown. Even in the Catechism, it’s mentioned, but the language of satisfaction and merits is dominant. Father – Wonderful article. My one difficulty with Orthodoxy is the teaching on divorce. Even if I were not Roman Catholic, I could not understand what seems to be a direct contradiction to Christ’s teaching. I say as someone who wishes to understand. Please explain. Thank you. In short, it should be noted that Orthodoxy does not “permit” divorce, but it does recognize that it happens. The question is really how best to move forward with salvation after that sin occurs. Anyway, do read the piece. It’s quite good. In fact the Orthodox Research Institute website is still up (http://www.orthodoxresearchinstitute.org/articles/liturgics/athenagoras_remarriage.htm) but the link given above ( http://www.oodegr.co/english/ekklisia/marriage_divorce.htm) is an inactive website. Evlogeite. Just a passing visitor who happened upon this site. Just wanted to comment that the above is not an inactive website. There was simply a missing ‘m’ after the .co. Chrismated two years ago September 9. All 12 reasons, yes, but for me….primarily…. what a relief to finally NOT be in charge of interpreting the scriptures for myself (sola/solo scriptura). And I never really did get the”justification by faith alone” bit. Lord have mercy! I was raised in the Russian Orthodox Church of the Nativity in Erie, Pa., and have spent the better part of my life apart from the Orthodox church because of the different locations in the US and abroad that I have lived. I had children to raise and out of necessity, determined that they would be raised as Christian believers who put Jesus Christ first in their lives. I am thankful that they do and love the LORD. Even though through the years that I have worshiped in the Anglican/Episcopal church (very conservative! ), I never in my heart left the Russian Orthodox church I grew up in. I love going back to the church in Erie. There are my roots. I grew up Greek Orthodox and left the Church when I married an American man who was Mormon and converted me and we raised our children in the Mormon faith. I never felt comfortable in the Mormon Church and left it after I divorced my husband. My children all left the Mormon Church as well. I have always regretted making that choice and even though my children are all good people I know being in the Greek Orthodox Church would have given them roots, community, faith and traditions to carry them through this life and the life to come. I carried the Greek Orthodox Church with me always. It is so ironic that the Mormon Church teaches they are the only true church but in reality the Orthodox Church is the original and true Church established by the Apostles of Christ and continues to this day, unchanged and firm in its beliefs and traditions. I left the true Church to join a church with false teachings and false prophets and I came back to the original and true Church, The Orthodox Church. I am Russian, so please excuse my poor English. In my opinion, the reasons 1 and 12 are very important. If The Orthodox is the church of the New Testament, founded by Jesus Christ and the Apostles; if she preserves the teachings and practices of the early Christians, then I want to be a member of this church. What is the criterion of the truth in Catholicism, Protestantism, and Orthodoxy? Who is the last authority in the Roman Catholic Church? Pope. It doesn’t matter what church councils decide. The last word always belongs to Pope. Roma locuta, causa finita (“Rome has spoken, the case is closed”). Even if a new Pope was elected a minute ago, his personal opinion can define any doctrine concerning faith or morals to be held by the whole Church. What makes bishop of Rome infallible? Who, being in sound mind, may say that the Apostle Peter and Pope are equal and always share the same opinion? There is no logic when a man, his position, and his bishop’s office become the criterion of the truth. Let’s have a look at Protestantism. What gives a man authority to interpret the Bible? They say, “The Holy Spirit”. In other words, “I am my own authority”. If the Holy Spirit gives everyone authority to interpret the Bible, then how come Protestantism spilled like beans? Why everyone has his or her own interpretation, teaching, and understanding then? Lutheran, Presbyterian, Reformed Presbyterian, Anglican, Episcopal, Methodist, Baptist, Reformed Baptist, Pentecostal, etc. If the Holy Spirit is one, why are their interpretations so different? Why do they contradict each other? Who is right? Where is the criterion of the truth? There are thousands of Protestant churches, sects, and cults and each of them claims to have the only true vision and the only right understanding. Some of them allow gay marriages, gay bishops, and female priests. Some of them don’t believe that Christ is the Son of God. Some of them don’t believe in His resurrection. They read the same Bible but have different and even opposite interpretations. Where is the truth? Well, maybe everyone is right and it’s ok to have a different opinion? Let’s try to say the same thing when we are lost in a jungle and everyone has his or her opinion about direction. Everyone has the same map (the Holy Bible) but reads its signs (verses) in different way. Whom should we trust? When everyone understands the signs in his or her own way, claiming his or her own authority, then the criterion of the truth doesn’t exist. What about non-denominational churches? They share the same problems of Protestantism. It’s me, God, and the Bible. They reject the Holy Tradition (which is the life of the Holy Spirit in the Church) and replace it for their own tradition, created by their self-proclaimed oracles. It would be ridiculous for us modern people to interpret some Chinese manuscript, written 2 000 years ago. Especially if we don’t know the language and don’t share the tradition of the ancient Chinese who wrote it. It’s the same with the New Testament. To understand and interpret this book, written in the old Greek almost 2 000 years ago, one has to share traditions, practices, and teaching of the early Christians. In other words, to belong to the church that wrote and compiled the New Testament. Christ didn’t come to build thousands of churches. He and His Apostles founded only one Church. So the task is to find the Church of the New Testament because only this church can give the right understanding and interpretation of the Bible. As the Apostle Paul says, this Church must be “the pillar and foundation of the truth”. (1 Timothy 3:15). In the Orthodox Church, the criterion of the truth is the concordant teaching of the Church Fathers. If the Church Fathers of different ages and different countries have the same opinion, only then we can be sure that it’s not someone’s personal opinion but the teaching of the Church. The Church Fathers compiled the Bible and they knew how to interpret it. They were not scholars or University professors, but theologians AND ascetics who lived a holy life. The Holy Spirit inspired the authors of the Bible. And it was the same Holy Spirit that gave the Church Fathers the power and authority to interpret the Bible. The Church Fathers are not like any scholars but holy people who acquired the Holy Spirit by prayer, fasting, humility, keeping the commandments of the Gospels, fighting their passions, and cleansing themselves from sins and sinful thoughts. Their life was a living testimony of the Holy Spirit working through them. Therefore, we’d better stick to their writings which is a voice of the Church. Your list is terrific! For me, in a nutshell, here are two of many more reasons: 1), the Orthodox Church shares the Eucharist with baptized infants; and 2), the Orthodox understands that marriage is meant to be eternal. Yes, I am also proud to be an orthodox and have Palestinian blood in my body. It’s from my mother, my mother is a Palestinian Christian and she was born in Bethlehem, West Bank. I was looking through this website and I found it interesting.I am RC.What is the formal Orthodox teaching on Matthew 16 ‘Thou art Peter and upon this rock,etc.Also,in regards to Church Fathers,St.Augustine is magnificent and has greatly influenced philosophers for centuries.Bertrand Russell had a high opinion of him.Your comments please.Thankyou. In my protestant days I was a worship leader, composer, arranger, keyboardist, violinist every Sunday. I felt I was basically giving a concert/performance every Sunday. I’m so, so very glad that as an Orthodox I don’t have to do that any more. I don’t know how fine the line is between worship and performance, but I don’t have to deal with that any more. I don’t have to “top” what I did last Sunday anymore. No light show, no slick sound production. I am no more the middle of that experience, Jesus’ blood and body is. This is why I remain here in the church. Worship in its truest form. Thank you so much for your thoughts! I totally agree with this list…especially #9. I first started attending an Orthodox church because I was told that Orthodoxy really deals with the whole person instead of trying to force the person into a religious box. I was tired of religious boxes and was looking for something that would help my soul heal. My priest tells me that the life of the church is necessarily exorcistic, and I have found this to be quite true. I keep going despite the painful ways I have to face myself because it really is healing my soul. Though I am finally starting to learn that God really does love me as I am (as opposed to having his finger hover over the smite button), but He is also not letting me stay in my place of fallenness. He is finally answering my life-long prayer for help and healing my soul. I am so very thankful to have been led to the Orthodox church. Here are my main reasons, some of which are touched on in the article. 1. The history. For one, I studied Church history from a Catholic high school and a Protestant university and felt like I could never really understand it. They gave me details, but I could never tie it together in a satisfying way. I figured that maybe I was just not smart enough and you need to be some high-end scholar to really understand Church history. After reading Bishop Kallistos Ware’s “The Orthodox Church,” which has some introductory church history, I felt like I actually had a good grasp of it for the first time. Joining the Orthodox Church, I also felt for the first time that I could walk into any century in the past 2000 years and profoundly relate with a significant community of Christians. 2. The Saints. C.S. Lewis talked about the “New Man” of whom Christ (the Second Adam) was the first. I never really understood what he meant until I read about the holy people of the Orthodox Church. There are also many people of great holiness who are not canonized. 3. The theology. It took me a while outside the Orthodox Church to come to the realization that Jesus did not save us by satisfying the wrath of the Father. After some more study I discovered the importance of the Resurrection (thank you, N.T. Wright). In the Orthodox Church, these things are a given. There’s also the Trinity, the Incarnation, the Transfiguration, and et cetera. It has been a joy seeing my faith confirmed as I look deeper into the Orthodox Church. Sort of like a detective who finds a clue that makes him suspicious of a person. He then starts following that person and finds very concrete evidence as a result. I would also add that, Orthodoxy is an alive church! You can witness the presence of God, of the Saints even with your hearing!! I love the music. I don’t listen to the words as much as I feel the voices in my being. The beauty of the service and community in homage to the mystery. I’ve tried to wrap around the certainty, and tribal identification, but I don’t see it as a prescription to peace . Love, peace and justice are what is being sung about. Our pursuit of this through scripture, thought and practice connect us to the Devine mystery. I find much beauty and solitude in nature, but no emphisis on justice. Justice is found in community, and that is God’s gift to us. I look at and through the icons of my church to feel an ancient community who also sought wisdom in the allegories and metaphors. But the heat and flame and breath of the church is the community that shares it’s voices, it’s fellowship, it’s food and love. Anything that you miss about the Catholic Church? I was never part of the RCC, so there’s nothing I miss about it. I like the fact that I am not to judge others or try to convert my friends or strangers. I also like the fact that only God decides who is saved and it is not for me to say. I teach at an Evangelical College. This has brought me closer to Orthodox Christianity. I was asked once by a student “when did it happen to you?” Puzzeled I said “not sure what happened”? I have always been Orthodox that’s why it seemed like such a strange question, but by staying Orthodox I have made that choice. That is funny- it is almost word for word, the tag line for a book from the late 90’s “Just Like Jesus” by Max Lucado. Have you read it, Fr. Andrew? It was a book that inspired me, as an Evangelical, to take the first steps in beginning to follow God. I am now Orthodox also. I’ve not read anything by Lucado. #5 and #7 are both reasons I’ve sought the true church. I’m 38 years old (almost 39), and I have been attending a Russian Orthodox Church in my city for a few weeks and I’m overwhelmed by the peace I feel when I go. It is very humbling, because I do not know any Russian and I’m very American. I also (pridefully) don’t want to look foolish during liturgy and I’m sure I do. I was raised in a Baptist Church, baptized in an Assembly of God Church, and then went to non-denominational churches before joining the International Church of Christ. All of the non-denominational churches I was in split. The Church of Christ focused primarily on self-discipline (and I was drawn to that) but did so in a very smothering, cult-like way. They also split from their original church and had nothing to do with them. Such division and inconsistency was maddening to me. I wanted a church that would not suddenly change or lose half of their members, or fire the praise and worship leader. I was also exhausted by trying to lead ministries, organize huge church events, and take care of my family and my faith. #7 has happened so many times in each church. Countless leadership meetings focused on targeting a certain demographic, making the church more relevant to today’s society and more relational. The worship songs were pulled from pop music to draw people in and cast a wider net. Worship music (which I sung and felt compelled to perform) was mixed to elicit an emotional response. Then, a worship leader I knew was on Twitter, saying, “The liturgy is supposed to be weird…” and she started wearing a tichel sometimes, and for the first time, I felt the real pull to find the real church. What you said plus I needed somewhere to put my awe that knew what to do with it. What you said but also that for me the Orthodox Church has an authority that I couldn’t explain before my conversation nor now really. I don’t mean in an official way or governmental way. It has something to do with tradition, a profound knowledge of scripture and knowing God rather than knowing about God. I’ve never felt more in the Heavenly realm than in Orthodoxy. It’s kind of intimidating at times.